Nicholas is an Aberdeen University graduate who joined the firm in 2017, having worked in firms in Edinburgh and then Glasgow. Since 2005 he has appeared in civil courts throughout Scotland, conducting a variety of hearings and since 2008 he has conducted criminal trials across the whole of Scotland. He has also conducted Disciplinary Hearings before the NMC, SSSC, and Police Misconduct Hearings. His criminal practice has included cases involving: assault, theft, reset, robbery, drugs, fraud, embezzlement, dangerous dogs, football violence and disorder, public disorder, domestic abuse, breach of the peace, murder, and proceeds of crime. Under Road Traffic law, he has succeeded in preserving his client’s driving license, and has also restored clients driving licenses following disqualification. He has appeared in all levels of Scottish Criminal Court, including the High Court. He has particular experience in indecent images and sexual offences cases, having conducted a number of such matters over the last few years. 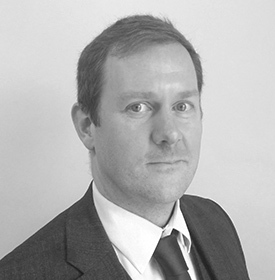 In his civil practice, Nicholas has litigated in the Sheriff Court, in both ordinary cause and Simple procedure cases. He has appeared as the instructing solicitor in the Court of Session. Civil areas covered include: Identity theft, Proceeds of Crime (Civil), Minutes under the Mortgage Rights Act, personal injury, medical negligence, interdicts, non-harassment orders, property disputes, neighbour disputes, debt recovery, benefits reviews, benefits appeals, licensing board hearings, licensing appeals, contract, landlord and tenant, Criminal Injuries compensation claims, CICA appeals, exclusion orders, ejections, Housing and Property Chamber and Powers of Attorney. He is a member of the Family Law Association of Scotland and has a particular interest in Family law. Cases have involved divorce, separation, contact, residence, parental rights and responsibilities, delivery of children, cohabitation claims, matrimonial interdicts, pension sharing, Child Welfare Hearings, and Childrens Hearings. These matters are highly emotional, and clients need sound guidance through these difficult periods of their lives. Nicholas takes a robust approach to steer clients through this in an understanding manner. He has conducted numerous joint meetings with parties and their representatives, taking pragmatic steps to resolve their differences without resorting to the expense and pressure of litigation, a collaborative approach which has been welcomed by clients throughout his career. Nicholas has conducted several Fatal Accident Inquiries (FAIs), an area of law which can be complex and is always highly emotive due to its subject. Cases have included deaths in police custody and inside prison. He has represented interested parties including Police Officers and Prison Officers and has ensured that the actions of his clients in these difficult situations have remained above question. Nicholas has a wide range of experience and a pragmatic approach to law, providing a friendly, understanding face to his client base. His personable style breaks down the complex and difficult legal issues for his clients , guiding them through these upsetting and traumatic times in their lives. Outside of law, Nicholas has a passion for two things: his family and his dog.